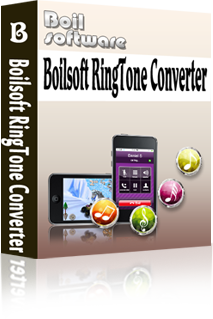 Boilsoft RingTone Converter's distinct capacities helps you to create your own ringtones by converting all popular video and audio formats to fashionable ringtone formats, such as AMR, M4A, M4R, MP3, OGG, WAV, and etc. 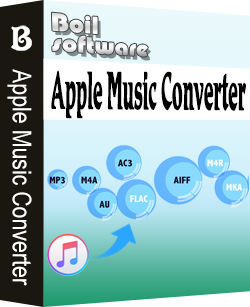 Support converting all popular video and audio formats, including 3GP, AAC, AC3, AIF, ALAC, AOB, APE, ARM, AU, CD Audio, DIRAC, EVO, WV, IVF, M4A, MOV, MP3, MPA, NUV, MPC, TTA, TS, WAV, PVA, RA, Real Media, SD2, SHN, MKV, DivX, DVR, FLAC, FLIC, FLV, MKA, MP4, MPEG, OFR, OGG, OGM, SND, TIVO, Video CD, VOB, VRO, Windows Media, WMA, WMV. 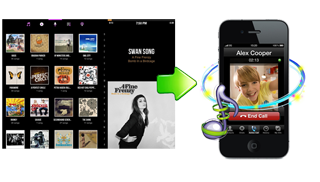 Ringtone formats can be AMR, M4A, M4R, MP3, OGG, WAV, and etc. 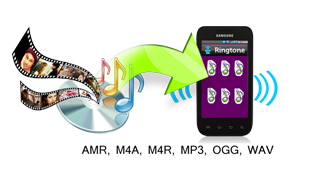 The joyful sound that makes you feel comfortable, from either your favorite movies or your beloved songs, can be converted to your mobile phone as a high-quality ringtone. When your phone rings, the wonderful melody will bring you a great deal of joy, even some unexpected pleasure. 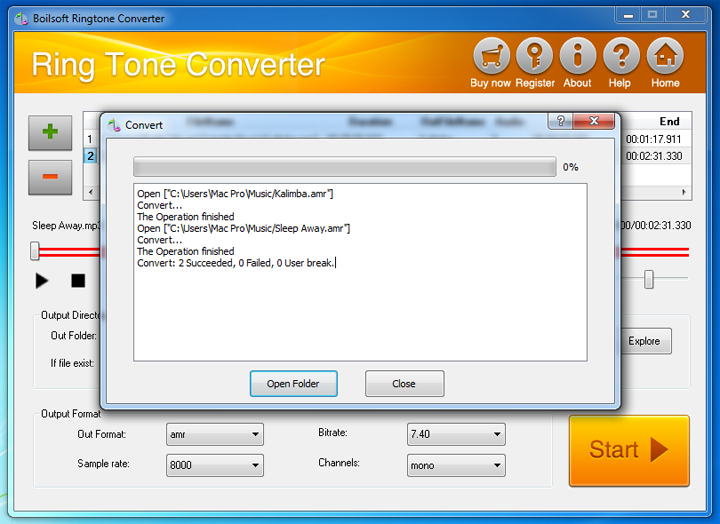 Whether you have a Nokia, Motorola, iPhone, Gphone, Sony Ericsson, BlackBerry, HTC, SAMSUNG, or any types of mobile phones that supports adding ringtone, Boilsoft RingTone Converter can make joyful AMR, M4A, M4R, MP3, OGG, WAV ringtones for your mobile phones. 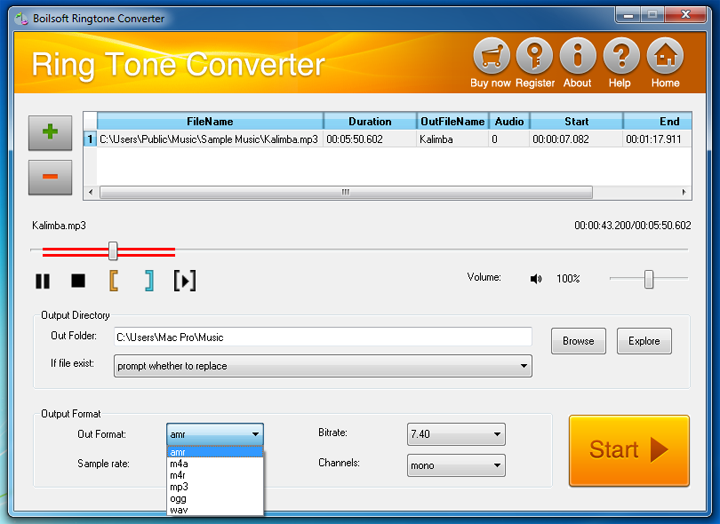 Cut segments from video and audio files and convert to ringtone. 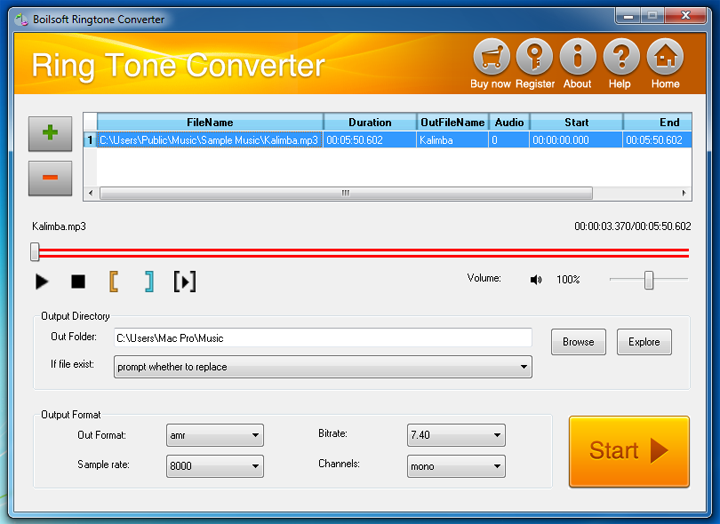 Customize sample rate, bitrate, and channels of the ringtone. 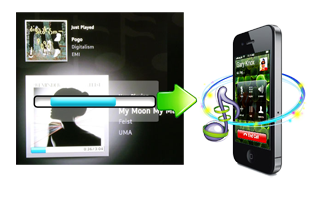 Set the expected volume of ringtone from 0% to 200% (default setting is recommended). How to make my own ringtone? 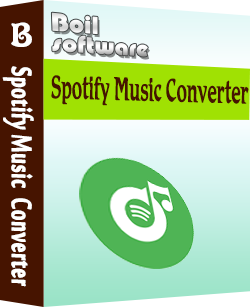 Download Spotify songs as mp3 with either free or premium account.